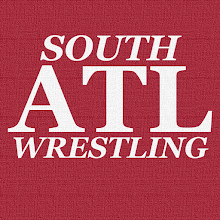 South Atlanta Wrestling: ACTION Wrestling 6 Is TONIGHT In Tyrone, GA! ACTION Wrestling 6 Is TONIGHT In Tyrone, GA! 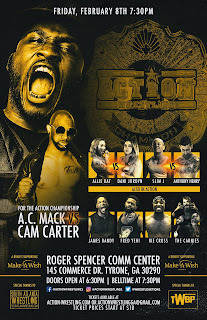 It is finally here, ACTION Wrestling 6 is TONIGHT at the Roger Spencer Community Center in Tyrone, GA! $10 gets you in the door! 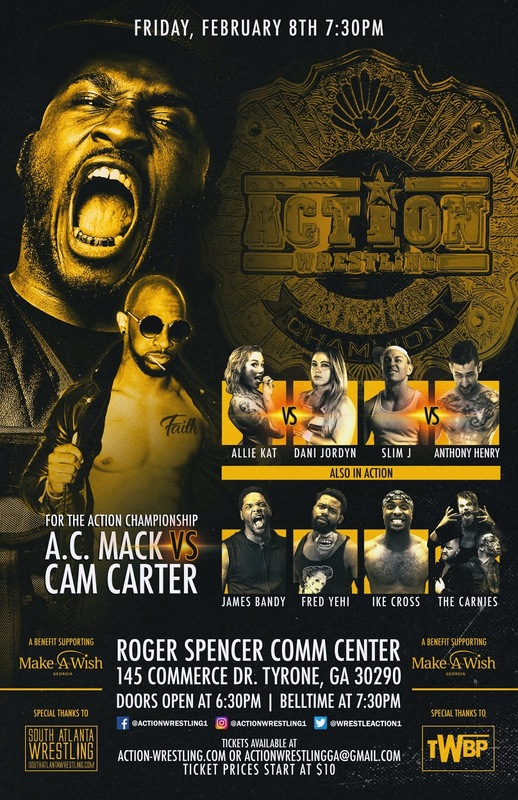 AC Mack defends the ACTION Wrestling Title against Cam Carter--This is AC's first (and hopefully last) ACTION Wrestling Title defense, and the crowd will be FIRED UP for Cam Carter! Alli Kat v Dani Jordyn--We haven't seen Alli Kat here yet, and I haven't seen her at all live so that will be a treat. I told Dani Jordyn "Tyrone loves you" at a show, and I think that it's completely fair to say that. She's been a big hit since her debut. Slim J v Anthony Henry--Slim J is another guy that the ACTION crowd has rallied behind, and as an Georgia indie wrestling institution that makes a lot of sense. I did not get to see Anthony Henry live at his first ACTION appearance so I'm glad he's back. He's fantastic in singles AND tag action and it's very exciting to have him back in town. The Carnies v Team TAG--A rematch of the Scenic City Trios 2018 final which saw The Carnies win, but Team TAG leave with the trophies...while The Carnies appeared to implode. More here from SAW's Exclusive Announcement of this match. "We just received word that The Carnies will only have two members tonight, as Tripp Cassidy has refused to take sides in the quarrel between fellow Carnies Kerry Awful & Nick Iggy." James Bandy/Ryan Rembrandt/Stevie Richards v O'Shay Edwards/Alan Angels/David Ali--This looks to be quality six-man tag action as Rembrandt and Bandy have gone out an gotten ECW/WCW/WWE alum Stevie Richards to take on O'Shay and Angels who have David Ali by their side now. Should be a treat. "The Eternal Flame" Harry Zen v Bobby Flaco--As Harry Zen points out you're getting a battle between two well-known wrestling schools Create A Pro (Zen) and WWA4 (Flaco). Flaco is a guy who I think ACTION fans have been impressed by in his previous appearances. I'm not sure how many realize this, but he has ties to the local area as well. Makes him an even more interesting name to watch. Fred Yehi will be appearing although both of his previously announced matches have been canceled. Per ACTION, there are rumblings that Arik Royal has "placed a price on Yehi's head." Also appearing...Matt Sells! Ike Cross is featured on the poster, but has stepped away indefinitely from pro-wrestling. All in all there is a tremendous amount of talent already announced for this show, and I predict a GREAT time will be had by all in attendance. This show will be a benefit for Make-A-Wish Georgia! The very first ACTION show in April 2018 was also a benefit for this wonderful organization. Tickets are available at ACTION-Wrestling.com so get them now!